Here's who's spending big on Super Bowl ads from CNBC. On Sunday, huge brands like Budweiser and Pepsi will once again spend millions of dollars from their advertising budgets in the hopes of catching your attention during what should be the year's most-watched television event: Super Bowl LIII. This year's host network, CBS, is charging a record $5.25 million for just a 30-second spot during the championship match-up between the Los Angeles Rams and New England Patriots, reports CNBC's Julia Boorstin. That's roughly $175,000 per second. The price is up slightly from last year's $5.2 million, and $1 million more than the cost to air a commercial during the 2014 Super Bowl. 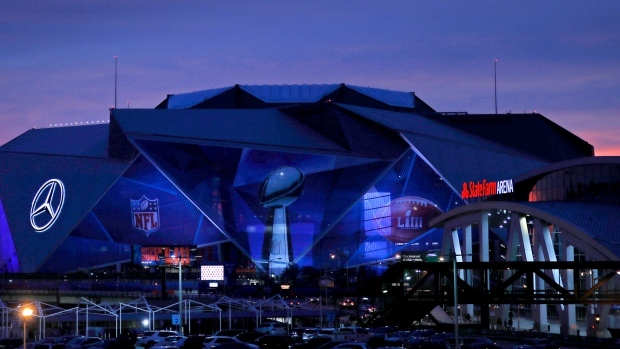 In just over a decade, the price of the average Super Bowl ad has nearly doubled, as the average 30-second ad cost $2.69 million in 2008, according to Nielsen Media Research. If you go all the way back to the first-ever Super Bowl, in 1967, ads cost anywhere from $37,500 to $42,500, based on Nielsen's numbers, while 1995 marked the first year that the average cost crept into the millions, when 30-second ads sold for $1.15 million (up from $900,000 the previous year). According to Ad Age, the biggest increase in recent years came in 2000, when the cost jumped by 31 percent, thanks to big spending from rising internet startups like Pets.com in the midst of the dot-com bubble. Well over 100 million people across the country are expected to tune in to the 2019 Super Bowl, though the NFL's TV ratings have suffered a decline in recent seasons. Viewership for last year's big game dipped 7 percent to 103 million viewers. The price of each advertiser's specific deal with CBS may vary depending on when in the broadcast an ad actually airs (advertisers tend to pay a premium to have their ads air early in the game), the length of the ad and the number of ads purchased (the host network can offer package ad sales, which include spots during other events around the Super Bowl, like the Olympics in 2018). But no matter what, that's a major expenditure for what is technically just seconds of brand exposure, even if it does come in front of the year's largest television audience. Of course, in reality, paying over $5 million for a Super Bowl ad gets you more than just 30 seconds of attention. After all, most Super Bowl advertisers have learned how to stretch out the lifespan of every Super Bowl ad, with press releases announcing each new ad, sometimes weeks before the actual game airs. Advertisers are even known to spend millions of dollars just to market their Super Bowl ads leading up to the Super Bowl. Advertisers bank on the fact that viewers will flock online to watch sneak previews of their Super Bowl ads on YouTube and then watch them again after the game when sites rank the best Super Bowl ads. A minute-long Budweiser Super Bowl commercial is already available to watch on YouTube, and it has over 8 million views over the past week. Budweiser parent company Anheuser-Busch, the NFL's official beer sponsors and a regular presence in Super Bowl ads each year, is buying a record six-and-a-half minutes of advertising time during Sunday's game — a purchase that could cost nearly $34 million in total. Meanwhile, a video teasing a commercial for Pepsico-owned Doritos that features Chance the Rapper and the Backstreet Boys already has over two million YouTube views. The ad is part of an annual trend that sees advertisers packing their commercials full of big-name celebrities, as they rely on star power to help ensure that their ads don't get lost in the onslaught of media around the Super Bowl. Those celebrities' salaries are not typically revealed, but in some cases they can also stretch into the millions, as Heineken reportedly paid Brad Pitt more than $4 million to appear in one 2005 commercial, while Arnold Schwarzenegger reportedly received $3 million for a Bud Light commercial during the 2014 Super Bowl. However, while you're sure to see everything from pop stars to "The Dude" during the commercial breaks of this year's Super Bowl, one thing you won't see is an ad for legal cannabis. CBS recently rejected a proposed one-minute ad (that potentially would have cost over $10 million) from Acreage Holdings, a New York-based medical marijuana company, with the network saying in a statement that it does not air cannabis-related advertising. You can already see a rough cut of the would-be ad on YouTube.